Enjoy each day of the year with a striking personalized magnetic calendar. 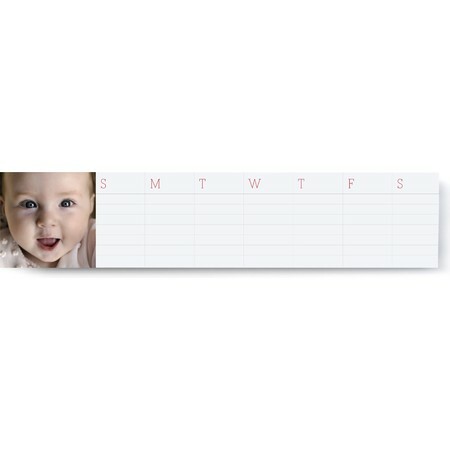 Customize a magnetic calendar with a picture of someone you cherish, from a precious little one to a beloved sweetheart. 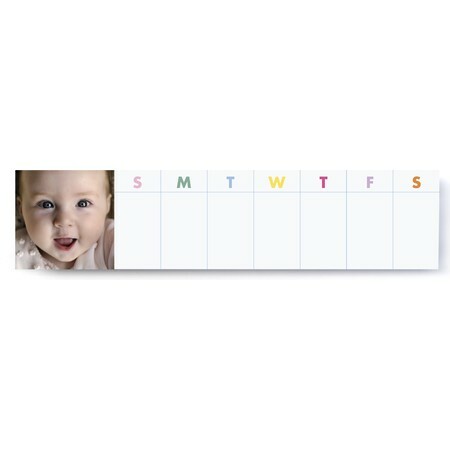 Our magnetic calendars conveniently stick to any metal surface around your home or office. Stick one on your fridge or on a file cabinet at work to easily keep track of the days. Track appointments, deadlines, milestones and other important information in engaging style with weekly or monthly options. Choose a weekly notepad magnetic calendar with multicolored block style lettering or red color days of the week, add your photo and never forget important dates. 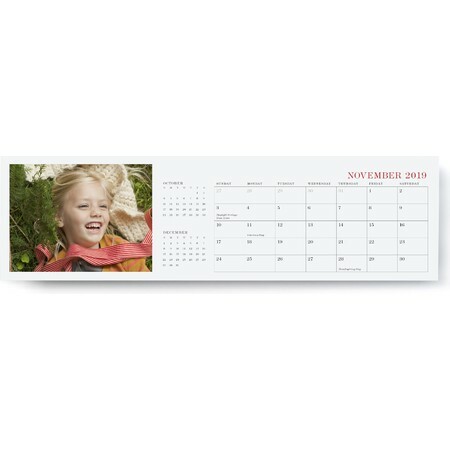 Or, choose a monthly full-featured magnetic calendar with a different photo each month. Pinhole Press magnetic calendars are a fun and easy way to keep track of your days. Choose from custom weekly magnetic notepads that start at $29.99 and measure 15 inches by 3.5 inches or a yearly magnetic calendar that measures 16.25 inches by 4.75 inches. Magnetic calendars are a playful way to stay on top of your to-dos, appointments and special days.